In 2006, the Jack, Joseph and Morton Mandel Foundation, along with former Cleveland Mayor Michael White, established a leadership training program for engaged neighborhood leaders. The Neighborhood Leadership Development Program is a free, 16 session community engagement training program for residents of Cleveland, and its inner ring suburbs, who are working on projects within the City of Cleveland and who are determined to make a positive impact on their communities. Beck Center for the Arts proudly presents Bent June 1 through July 1, 2018 in the intimate Studio Theater. Show times are 8 p.m. Fridays and Saturdays, and 3 p.m. Sundays. A Talk-Beck in conjunction with the LGBT Community Center of Greater Cleveland will be announced soon. Tickets are now on sale. Buy early and save with promo code: TRIANGLE to receive $5 off each adult/senior ticket purchased by May 31. Bent contains strong adult content. 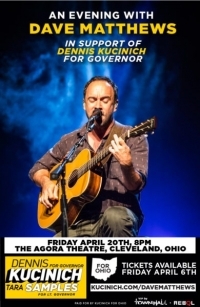 Dave Matthews recently visited Cleveland for an exclusive, acoustic performance in support of Cleveland candidate for Governor, Dennis Kucinich. On Friday, April 20, Matthews performed at a sold-out event at the Agora Theatre. There is much to be said on the topic of Cleveland's homeless. Whether they are martyrs to America's freedom, a draconian warning example, something to swept under the rug, useful objects for the practice of religion and other more secular business, or the monsters of the post-modern collective unconscious--something must be done. In addition to wastewater treatment plant tours, the Sewer District offers lab tours on Sept. 16. Whether it’s number one or number two, have you always wondered what happens once you flush the toilet? 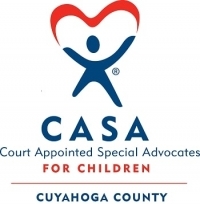 Here in Cleveland we have a couple of popular expressions which best describe community change and the planning process here-- "It is what it is", and "They do what they do". Sometimes this takes a rather paranoid aspect in a belief in an invisible, nefarious and all powerful Illuminati. But such fatalism is just ignorance, laziness, and narcissism. Really the key to the Inner Sanctum is just a few keystrokes away. To learn what the future of Ohio City will look like, google 'The City of Cleveland Planning Commission' and the site will lead your way. 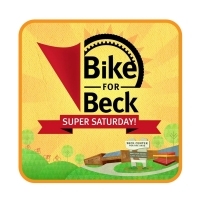 Lakewood, OH—Beck Center for the Arts is hosting its sixth annual Bike for Beck, a fundraising cycling event, on Saturday, August 19. 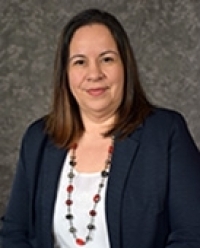 Hilda Abreu is working on a program for locally selected youth in conjunction with Youth Opportunities Unlimited “Mayor’s Neighborhood Corps” program. The project will run out of Metro West Community Development Office. Hilda is the Neighborhood Partner Manager for the project. In 2006, the Jack, Joseph and Morton Mandel Foundation, along with former Cleveland Mayor Michael White, established a leadership training program for engaged community leaders. The Neighborhood Leadership Development Program is a free, 16-session community engagement training program for residents of Cleveland, and its inner ring suburbs, who are working on projects within the City of Cleveland and who are determined to make a positive impact on their communities. Recently, I attended opening art shows at Spaces in Hingetown and the Canopy on Lorain, both in Ohio City. And come to think of it, I don't think any of the art at either gallery was actually framed, at least in the sense of the craft of framing pictures. Actually, the craft of picture framing is an art in itself, because the frame chosen always changes the meaning of the picture displayed within the frame. For example, a red frame will pick up and emphasize the reds in picture; a big ornate gold frame will make a statement of the picture's importance. The size of the matting matters, too. Really, the frame cannot but help but become part of the picture. 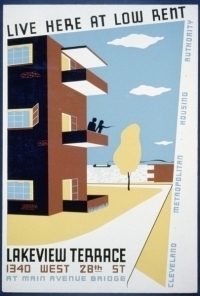 When Theresa Gorski sets her sights on something, it happens. The energetic, enthusiastic and community-driven Gorski is the owner of Vision Yoga & Wellness on West 25th St. in Ohio City. 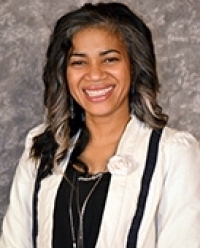 Four years ago she had an idea to bring family-friendly, healthy fun to the community. And that is how the Ohio City Games came to be. Cleveland Public Library has been at the cutting edge of library services since the late 1800’s when it became the first large, urban public library to "open the stacks" to the public. What are "open stacks," you ask? It is the once radical idea of allowing library patrons to browse the stacks, look at books, and select for themselves what they wanted. Previously—and in many public libraries for years afterwards—patrons had to tell a librarian what book they wanted, or what subject piqued their interest, and a library employee would retrieve books for the patron. Only librarians had direct access to the books. Can you imagine if libraries still worked like this? Superior Ave. traffic restricted to one lane in each direction beginning May 19. Ohio City motorists commuting to downtown Cleveland will be impacted by the Northeast Ohio Regional Sewer District’s Superior Stones Canal CSO Improvements Project. Beginning May 19, 2017, construction will reduce Superior Avenue to one eastbound lane and one westbound lane between W. 6th Street and W. 9th Street. 1 goal: Showcase the strength and visibility of the diverse LGBT community of Greater Cleveland. In the wake of an unexpectedly cancelled pride event, a collection of community organizations and individuals worked tirelessly to plan and execute “Pride in the CLE”— a festival and community-run event open to the public. 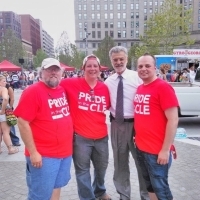 The event was a first-time endeavor led by the LGBT Community Center of Greater Cleveland. Spring is here! Everything’s popping up, sprouting out, and coming to life in all of its brilliance and fecundity, and while I’m certainly excited, there’s still a sluggish part of me that wants to resist leaving my quiet winter cave. 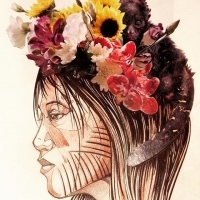 In the past, to help me shift my internal landscape, I’ve tried cleanses, and I’ve felt starved, and I’ve panicked, and they didn’t last and didn’t help. But I wanted to do something to ease the discomfort of the seasonal transition and refresh my system, and when I found the simple, nourishing Ayurvedic kitchari cleanse, I knew I was home.